DirectTV Now has re-started its launch promotion, and is offering new subscribers the new Apple TV 4K if they pay four months of service in advance. Unlike the August reboot of the promotion, the offer for a 32GB Apple TV 4K can be redeemed online.. The new deal requires users to sign up, and pre-pay for four months of service at a minimum of $35 per month. The offer isn't visible on the home page. 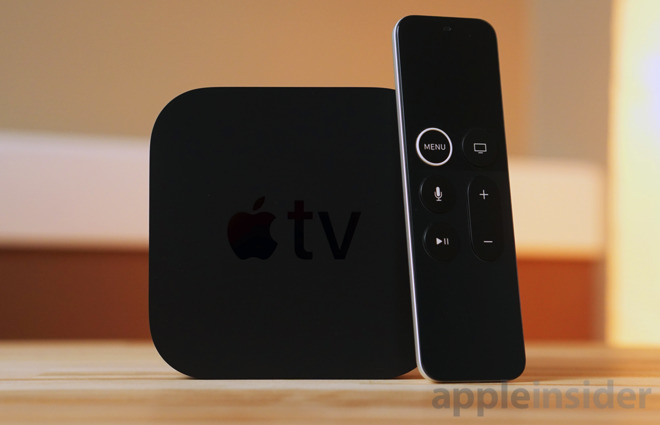 Users must proceed through the sign-up process before the offer for the Apple TV 4K, or a Roku device, is made visible. The offer is limited to one redemption per DirecTV Now account, with two shipments allowed per household. An account that took advantage of previous Apple TV promotions is not allowed to participate in the latest deal. After a bumpy launch, DirecTV Now garnered 200,000 subscribers in its first month of service. The streaming platform provides users with a slate of popular cable channels including properties owned by AMC, Discovery, Disney, NBCUniversal and Viacom, among others. Most recently, AT&T this month struck a deal with CBS to carry streaming and on-demand content from CBS News, CBS Sports Network, The CW, Pop and Showtime. AT&T's offer is available while supplies last, and devices ship out within two to three weeks of placing an order.